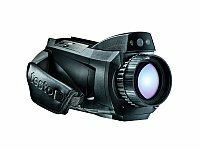 Introducing the Testo 890 Thermal Imager - The Next Step in Thermal Imager Technology with Built in Super-Resolution. 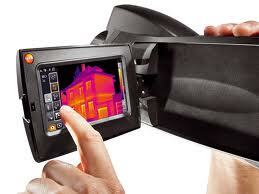 The key of a thermal imager is its ability to detect long-wave infrared radiation. 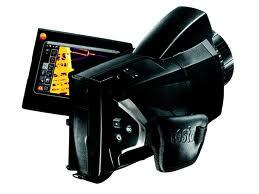 Testo places great value on the highest possible quality in every instrument. The testo 890 achieves the highest level of image quality thanks to the 640 x 480 pixel detection in combination with high-quality optics. Because the more measurement points there are in a thermal image, the more details can be identified and analyzed. In combination with the testo SuperResolution technology, the testo 890 records high-resolution thermal images in 1280 x 960 pixel quality. This means that even the smallest, or very distant, objects can be inspected with a high level of precision. The testo 890 utilizes todays touchscreen technology for intuitive hybrid operation, side-by-side with proven joystick operation. Easily and efficiently navigate through menu options right on the screen. Detector size of 640 x 480 pixels: With 307,200 temperature measurement points, objects are detected in the highest image quality. SuperResolution technology (to 640 x 480 pixels): SuperResolution technology improves the image quality by one detector class, ultimately improving your images four-fold. Thermal Sensitivity of <40 mK: Even the small temperature differences are easily detected and visible thanks to the 890's thermal sensitivity of <40 mK. 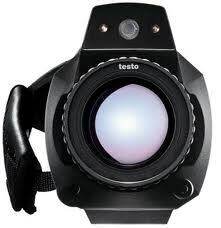 42 Standard Lens: The large field of view of view of the 890 is easily achieved due to its standard 42 lens. Temperature Recognition up to 2192 F: The high temperature option allows for a flexible measuring range up to 2192 F.
Thermal imager, hard shell case, SD memory card, USB cable, software, and power supply. 20250 TruReward$ points will be placed in your account when you buy this item.